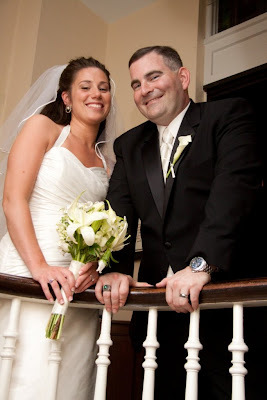 Congratulations to Sara and John who were married on a beautiful June day in downtown Baltimore. We met Sara at Flowermart back in 2008. She was having a classic style wedding at the Tremont Grand in downtown Baltimore. You may recognize her as LoCoFlo's new "intern". 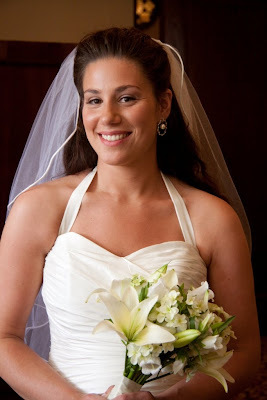 Sara's bouquet was made up of white lilies, white campanula, white sweet william and white mini calla lilies and mountain mint. 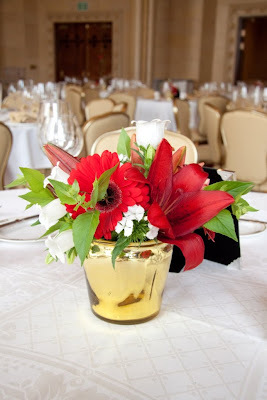 The wedding colors were deep, rich, reds and golds which worked pefectly in the ballroom at the Tremont. Sara chose two types of table arrangements. 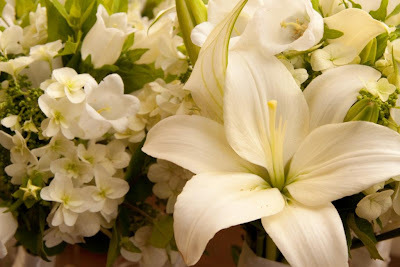 The first was a gold vase filled with red lilies, red gerber daisies, white campanula, white sweet william and mountain mint. While her style was conservative, Sara did choose the non-traditional stick trees for her other center pieces. 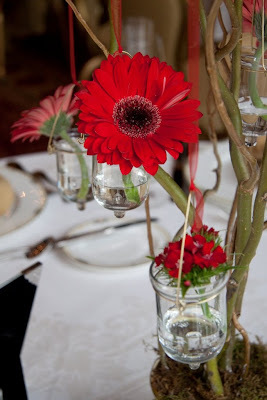 These centerpieces were made up of tall curly willow branches with small hanging vases full up red gerber daisies and red sweet william. The stick trees were a big hit! Thanks to Linton Photography for the great photos! There is a lot of joy in seeing a bride's face when she sees her flowers for the first time. I'll post more pictures of Janell and Eric soon, but I couldn't wait to share these pictures by Wendy Hickok.